This book explores the current anatomy of regional cooperation and why it has often failed to take hold. It offers an alternative view of politics and international relations in the Middle East. The findings show that co-operation between many of the more open regimes, such as Israel, Jordan, Egypt, Palestine and Turkey can pave the way to increased stability in the region. The authors argue that focusing on international and regional factors alone is insufficient in explaining the prevailing instability in the region. Instead they highlight domestic factors as crucial to understanding conflict and co-operation in the Middle East. 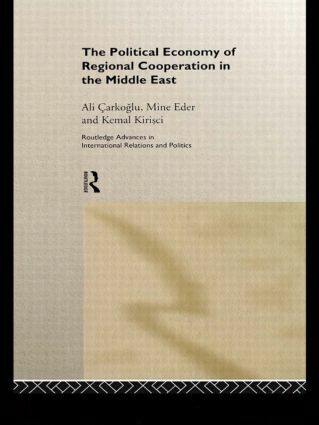 Using many examples and looking particularly at Turkey's experiences, this study shows why it is essential to mobilize domestic support for co-operation amongst countries and regions of the Middle East. Without such support from economic and social groups, inter-governmental co-operation is less likely to last.